FIVE-YEAR, 45% general tax rebate! ZERO steps! New "Beach" home under construction by Comfort Homes, Inc. in the newest phase of Prairie Creek, 3rd Addition, in Andover! 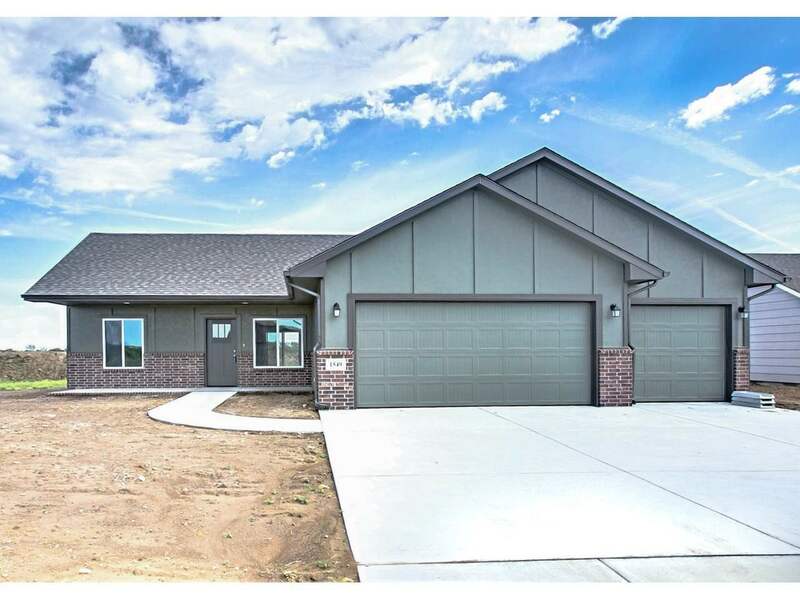 This open, split 3-bedroom, 2-bath plan is built on a slab foundation for a "zero" entry, and the 3-car garage has an extension built on for a storm shelter option. This spacious, open home features luxury flooring throughout the main living area, a raised master bedroom ceiling, a covered patio, and a full front porch! Hurry out and make it yours! Model open daily from 12-5 (except Fridays) at 1505 N Aster.